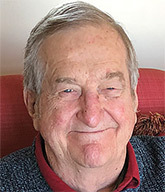 COBBS CREEK—David Cabaniss Dorset, 82, of Cobbs Creek died on January 30, 2019. He was born on April 18, 1936, in Richmond. He was the son of Edward Franklin Dorset and Elsie Jennings Dorset. Dorset was preceded in death by his wife, Elizabeth Call Snead Dorset; a son, Harold Snead Dorset; and a brother, Donald Edward Dorset. He is survived by a daughter, Dr. Elizabeth Hospodar; and four grandchildren. He was a graduate of St. Christopher’s School, where he played on its 1953-1954 basketball team, which Coach Petey Jacobs said was the best in school history. The team won the City of Richmond High School Championship with a record of 15 wins and 2 losses, losing only to Petersburg and John Marshall high schools on the road and beating them at home. He was the captain of the team his senior year. Dorsett graduated from Yale University, where he was a member of St. Anthony Hall. He obtained his law degree from the University of Virginia. He practiced law in Richmond and was the Commissioner of Accounts for the Henrico County Circuit Court for 20 years before retiring. He served on the planning commission of Henrico County for six years and was chairman of the county library board for five years. He served as a substitute judge of the Juvenile and Domestic Relations Court of the City of Richmond. He was baptized and confirmed at the Church of the Good Shepherd in Richmond and a member of St. Mary’s Episcopal Church while residing in Richmond. A memorial service will be held at 11 a.m. on Friday, February 15, 2019, at Kingston Episcopal Parish, 370 Main Street, Mathews, VA 23109. In lieu of flowers, the family suggests contributions to the Parish or the University of Virginia. Faulkner Funeral Homes, Foster-Faulkner Chapel, Mathews, is assisting the family with arrangements.